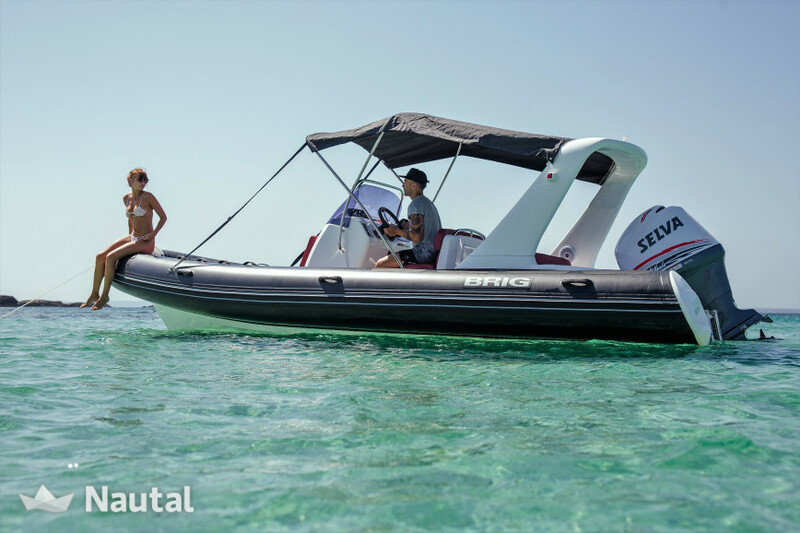 Pneumatics totally new of 2016 with capacity for 8 people, shower on board, table in solarium and possibility of snorkeling. 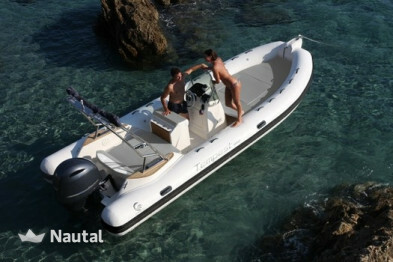 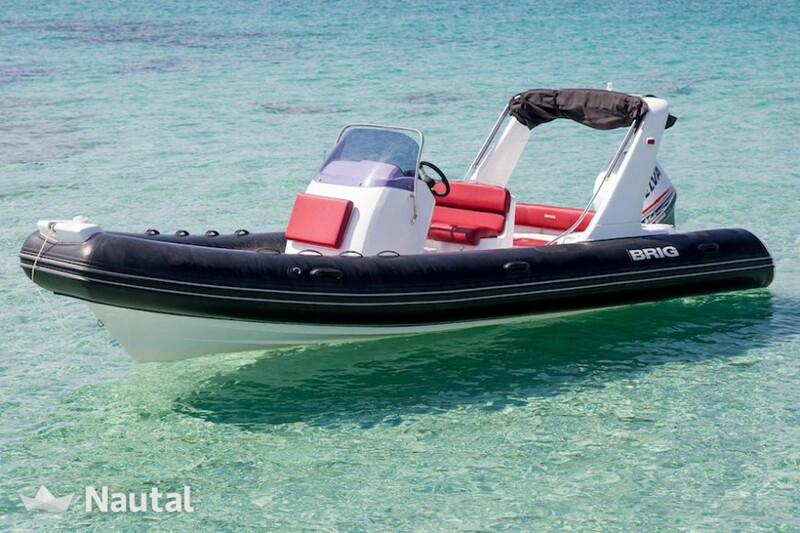 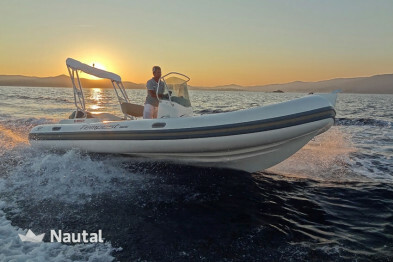 With this pneumatic you will enjoy the experience at sea with an unbeatable comfort and safety. 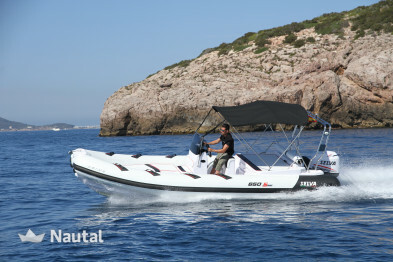 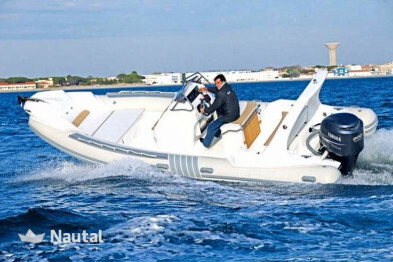 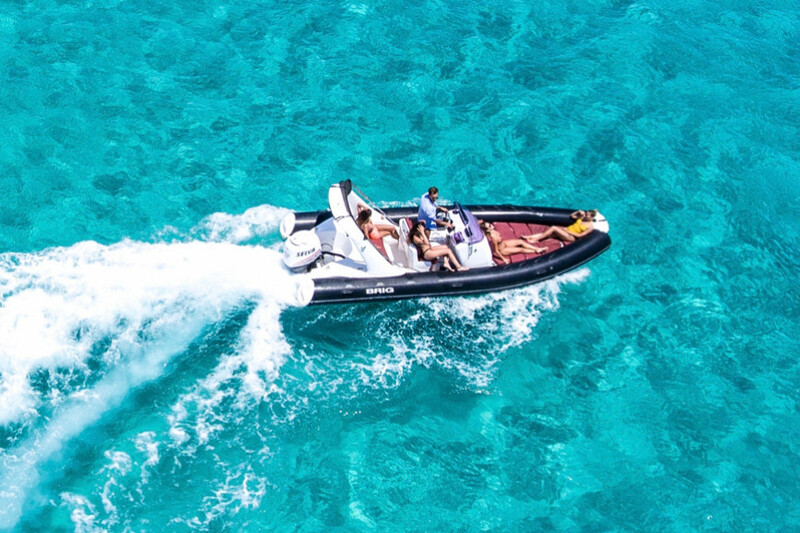 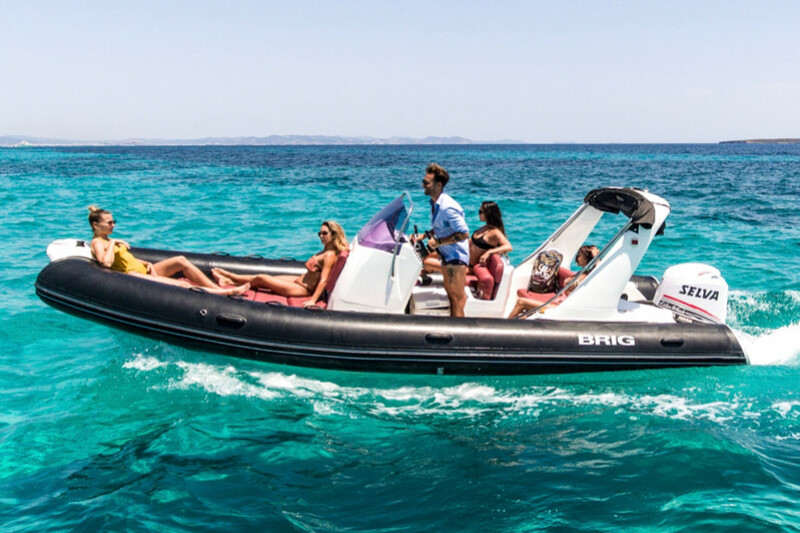 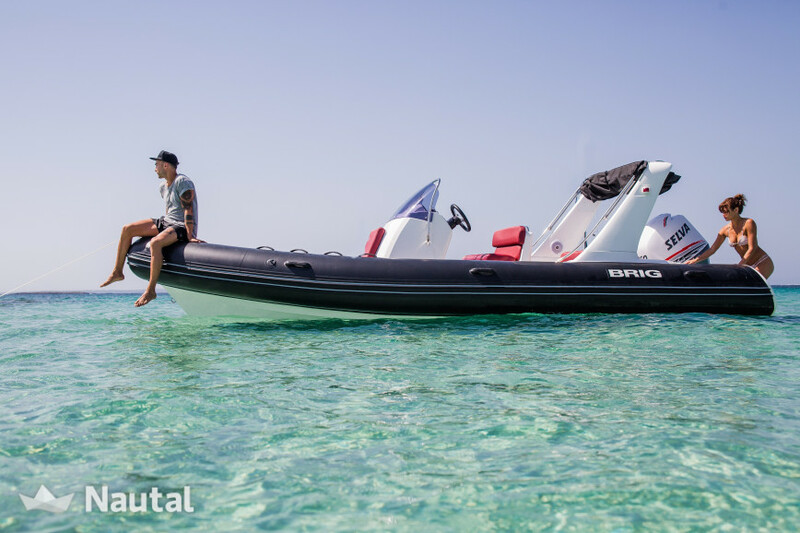 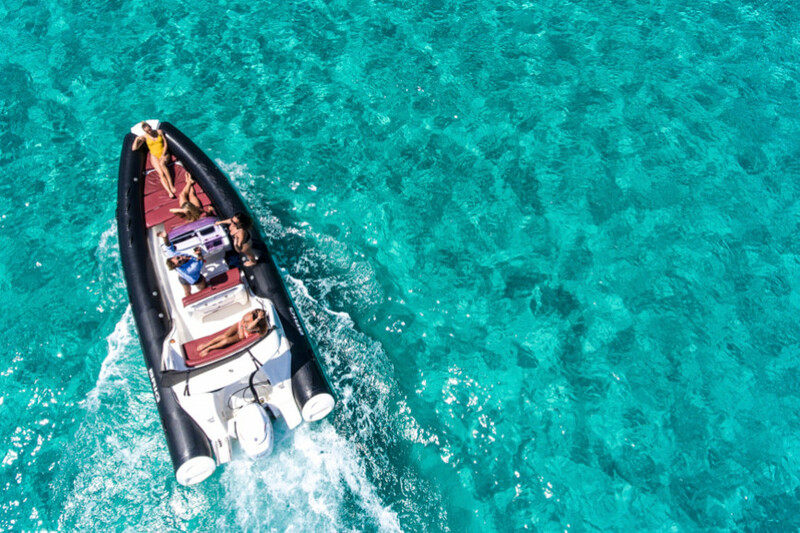 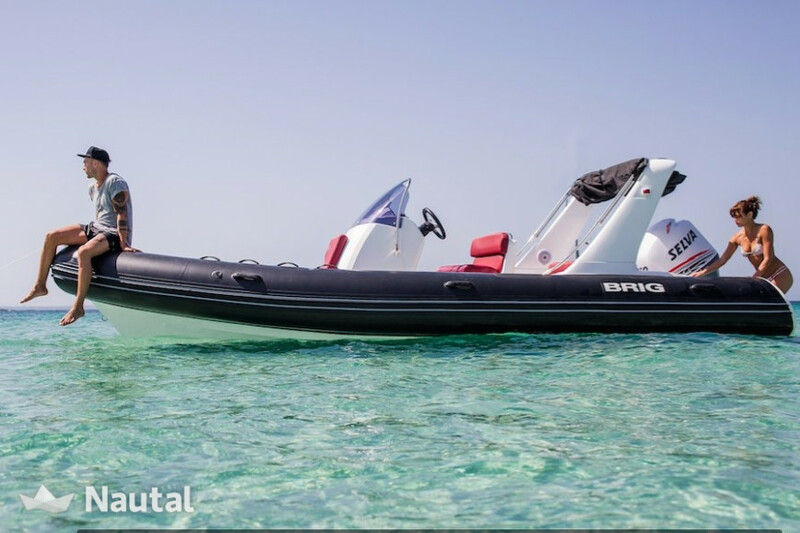 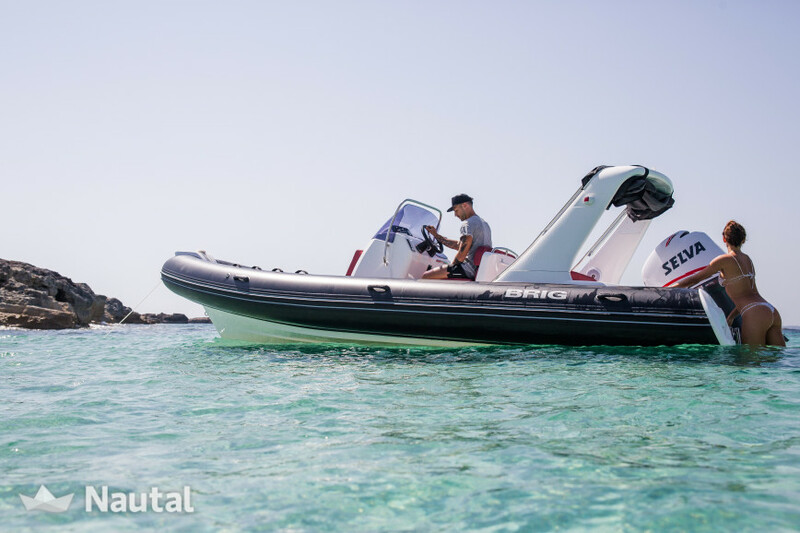 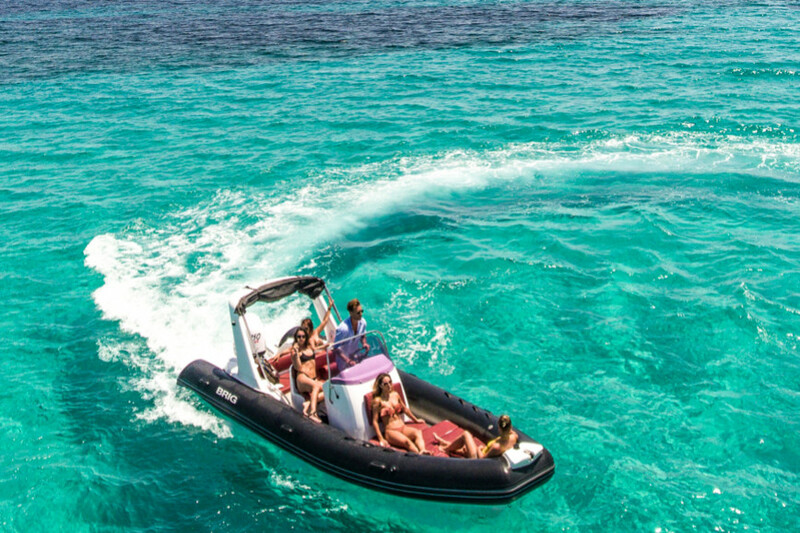 With a sporty style, it offers an easy maneuver to navigate the islands of Formentera and Ibiza. 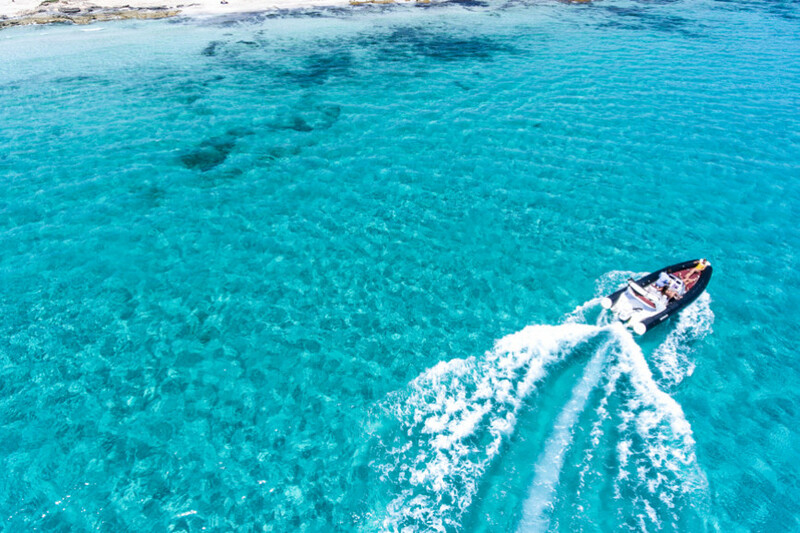 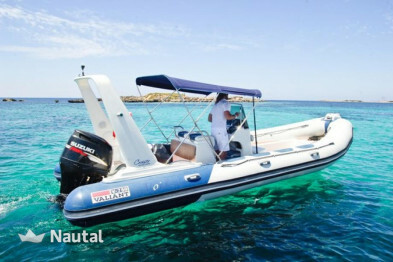 Allows docking near the coves and be amazed by the landscapes of the Balearics. 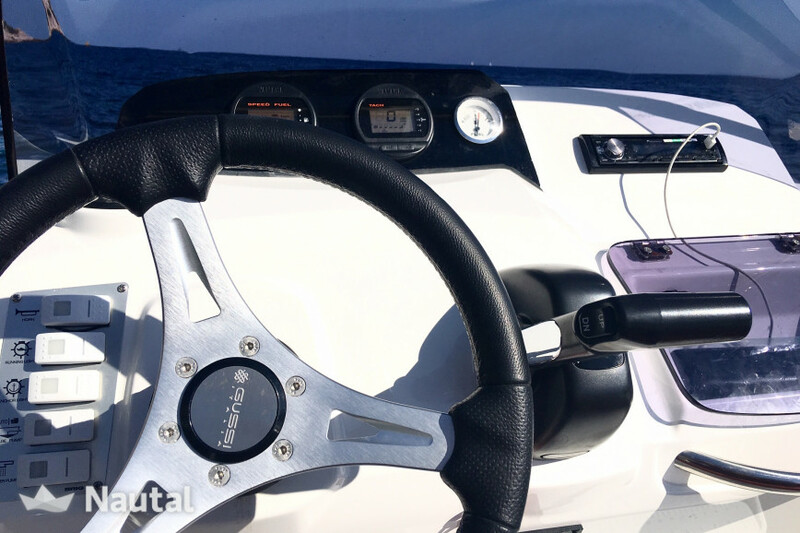 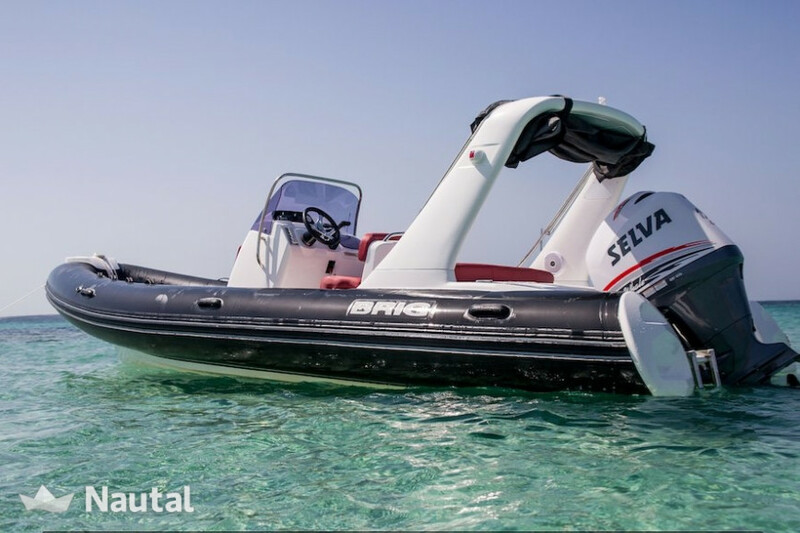 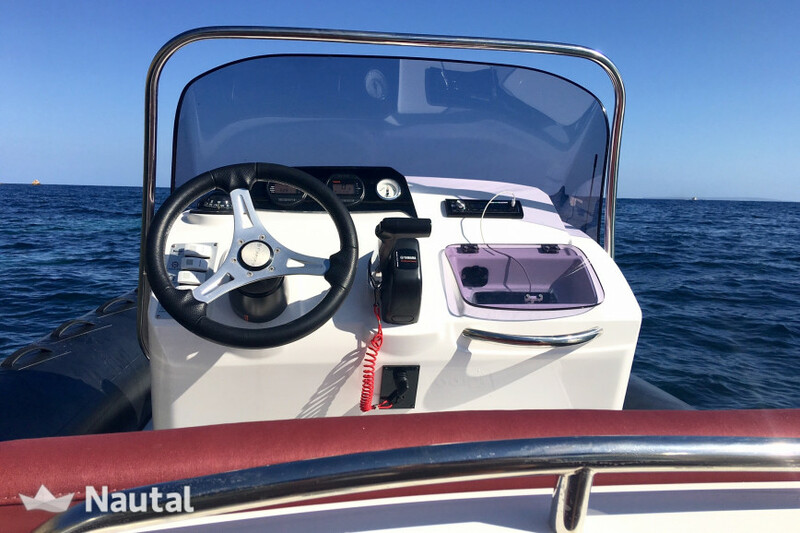 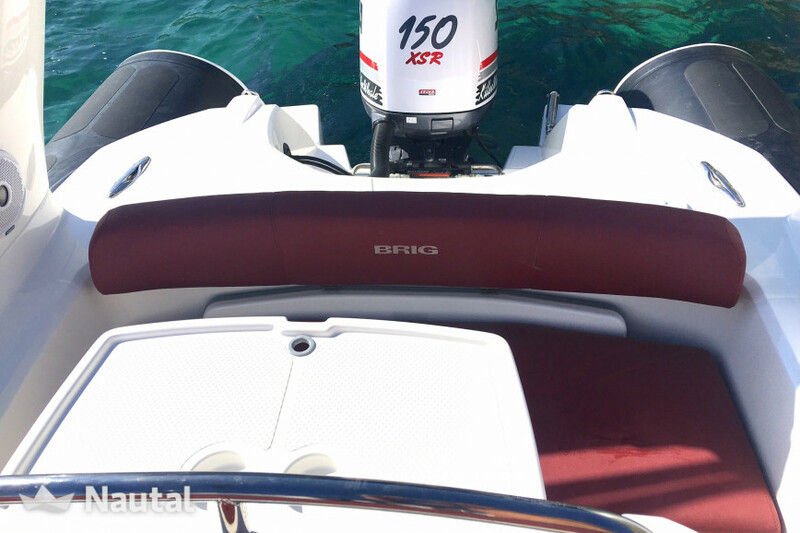 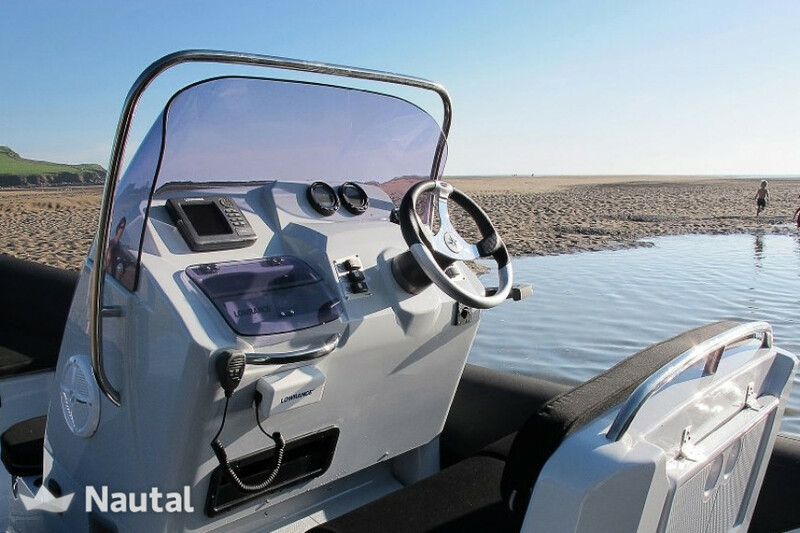 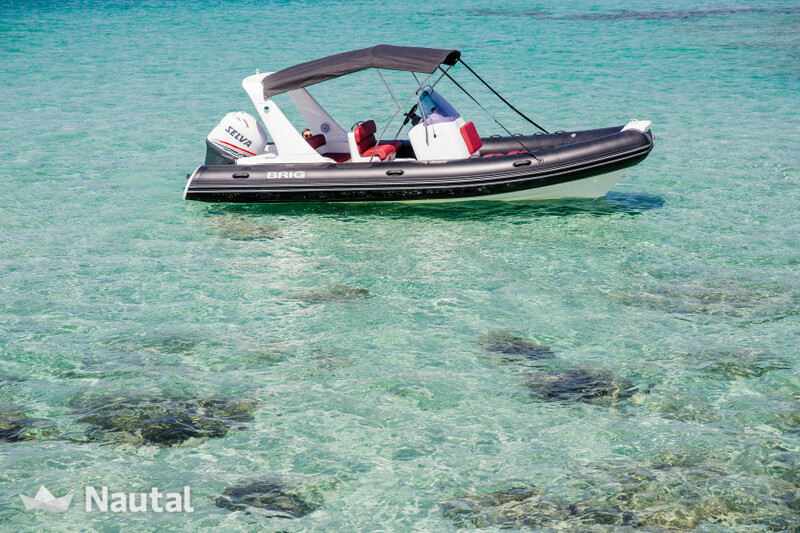 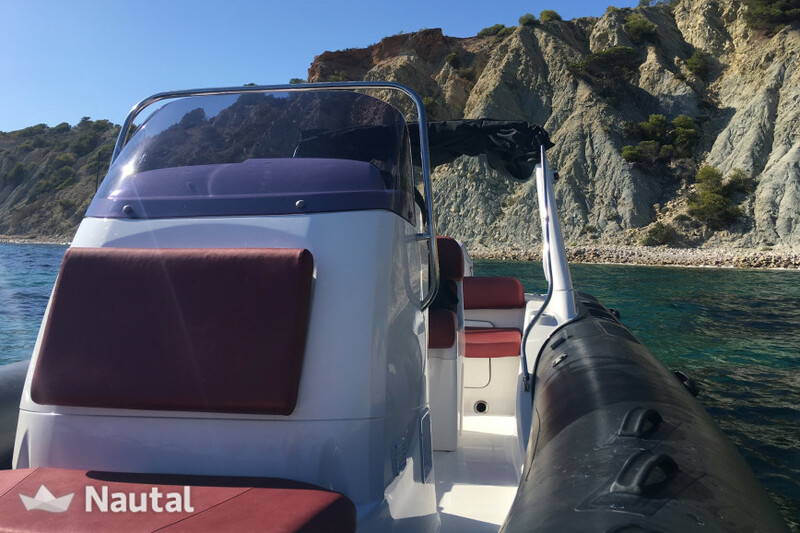 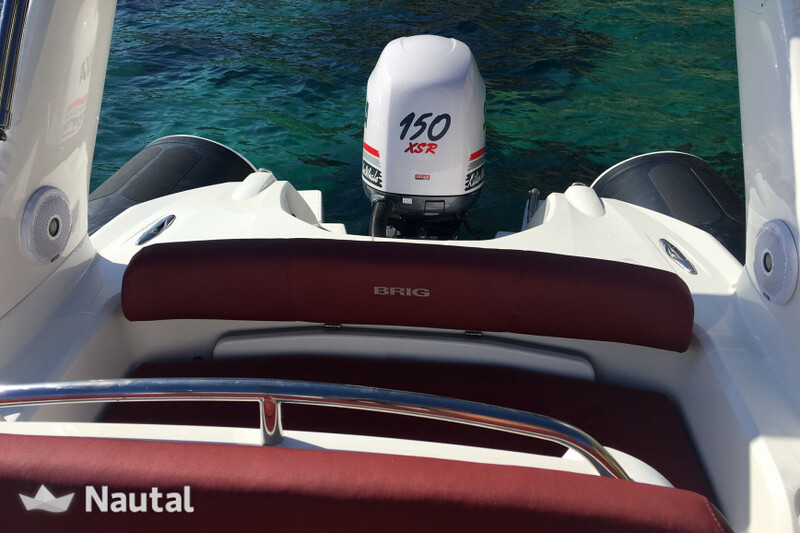 With a 150 hp engine you can enjoy the speed in total safety. 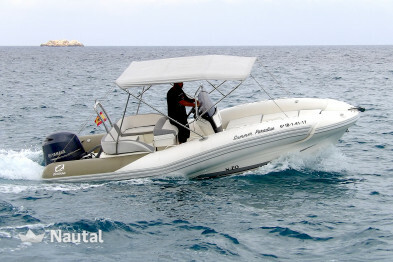 Recommended for its low gasoline consumption. 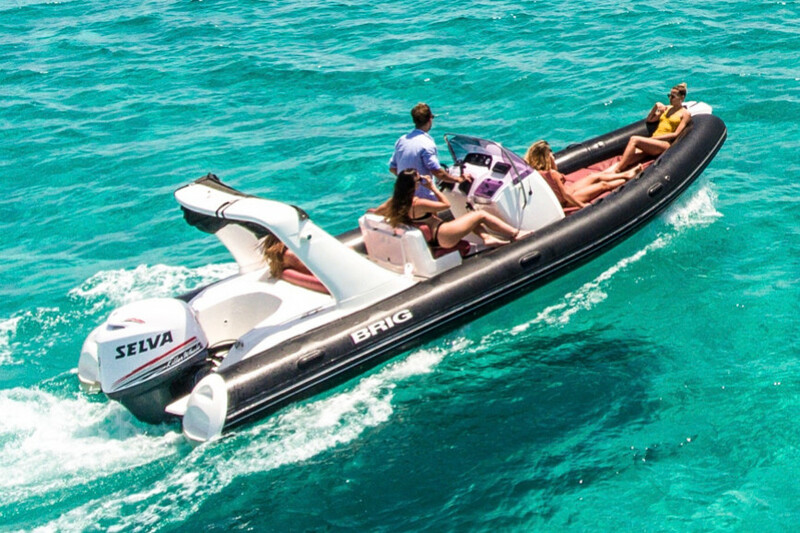 Rent this pneumatic and enjoy some soft drinks on board courtesy and snorkel equipment totally free. 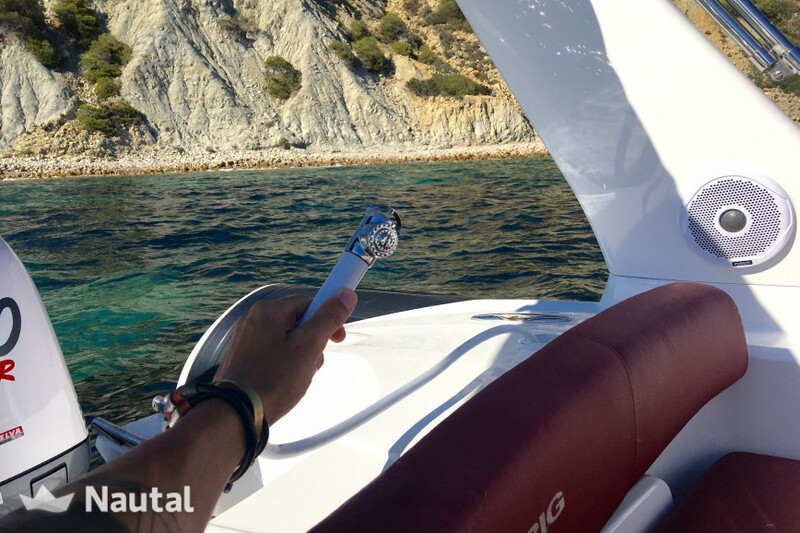 Anything else you would like to tell Manuel?